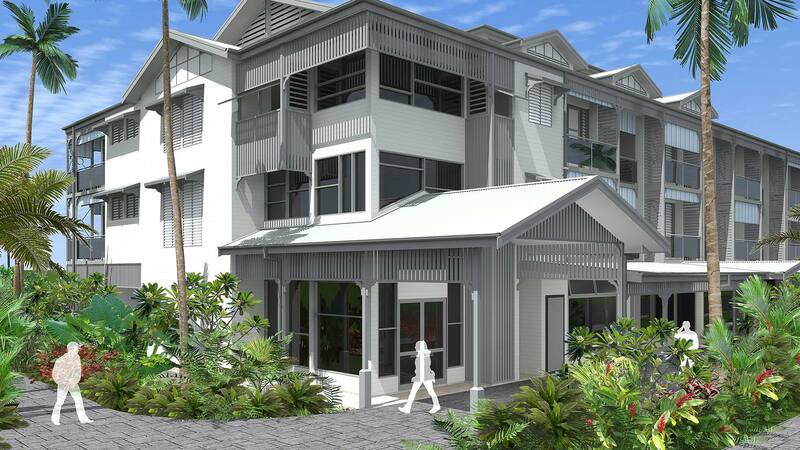 Heart Hotel and Gallery Whitsundays, is destined to become an iconic landmark in luxury, boutique, upscale hotel accommodation in the Whitsundays. Hunt Design Architects have captured the essence of a tropical Queenslander with an impeccable design that is elegant and timeless. High pitched roofs, spacious verandahs, together with the timber cladding and exquisite detailing, deliver a stunning facade on all elevations. This highly articulated building is visually striking and evocative of a style of architecture that has stood the test of time, reminiscent of early gracious Queensland homes. Heart Hotel and Gallery Whitsundays features an unrivalled location, literally in the heart of the cosmopolitan seaside resort village of Airlie Beach. The hotel features thoughtfully decorated luxury rooms and modern elegant suites with Airlie Beach or Coral Sea Ocean Views. From the moment you arrive, you’ll be greeted by our gracious team of bespoke butlers which offer highly personalised intuitive service. which are adjacent to the hotels retail precinct and lobby. The boutique art gallery located on the top floor of the hotel features monthly exhibitions from local Whitsunday artists. Heart Hotel and Gallery Whitsundays, creating memorable experiences and timeless memories… we look forward to welcoming you this November.